And welcome to our last blog of 2013 – what a year this has been! The weather has been amazingly kind to us so far with a long, late summer and a fairly mild autumn. As a result we’ve been booked up weeks ahead right through the year so if you are one of our valued customers who has waited patiently for the boys in green to turn up and work magic in your garden, thank you for bearing with us. I’m sure it will have been worth the wait! In the run up to Christmas we’re offering one lucky reader the chance to win a bottle of champagne simply for posting a picture of their garden up onto our Facebook page. Here’s the deal – you take your favourite picture of your garden, you upload it onto our Facebook page (yes, you’ll probably have to ‘Like’ us in the process) and on Friday 20th December (just before we head off to our Christmas party) we’ll nominate a lucky winner who will receive a delicious bottle of champagne. And now, without further ado, let’s have a round of applause for the Arbworx team who have just scooped yet another award! This time it’s for a beautiful job we worked on back at the start of 2013 where we literally transformed an old and unloved garden into a gorgeous area with Fairstone paving and custom built seats and timber planters. 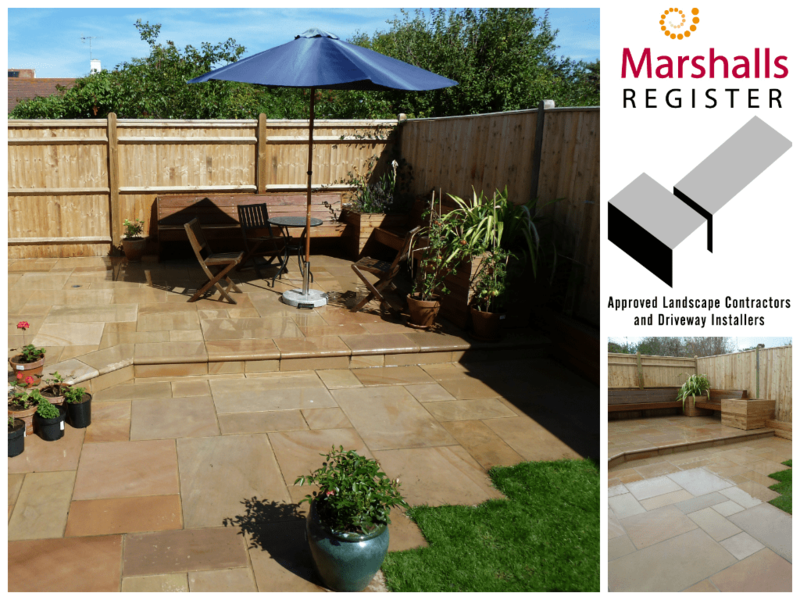 Our efforts were rewarded by Marshalls at their Regional Marshalls Register Awards in Hickstead in November. Hot on the back of that success we invested in a new truck for the Arbworx fleet and Captain Jack Sparrow (alias Ian) now has his very own ‘Black Pearl’ and can be seen zooming about Sussex, when not working hard making magic in some lucky customer’s garden. Of course, we aren’t limited to garden makeovers by any stretch of the imagination and, in fact, we’ve been doing a lot more commercial work recently, including some very cool works for local schools such as this boat and seating in Portslade. Visitors to our website will doubtless remember the wonderful Sea Serpent which we created for a school in Hove, and we’re about to begin work on a big timber rest area for an English Heritage site in East Sussex. Look out for the new Commercial Projects page coming soon to our website. The team have all been working very hard, not just on our regular projects but also on learning new skills that will make us even more effective on site. Joe has completed his Health & Safety training with the St. John’s Ambulance and Gavin has passed his chainsaw exams and is now itching for a chance to show off his new skills. It’s the right time of year for it of course, trees are now dormant and tree care works should be at the top of your list for the garden. Take a look out of the window and you’ll probably notice a garden in need of a good winter clean up. Don’t delay, give us a call today and we’ll make your garden winter proof and ready for the warmer weather when Spring arrives. It won’t be long now! In the meantime, we’d like to take this opportunity to wish each and every one of you a very Merry Christmas and a Happy New Year. You’ll notice we haven’t sent any cards out this year – this isn’t just to save the environment – but we thought the money would do more good going to a worthy cause. 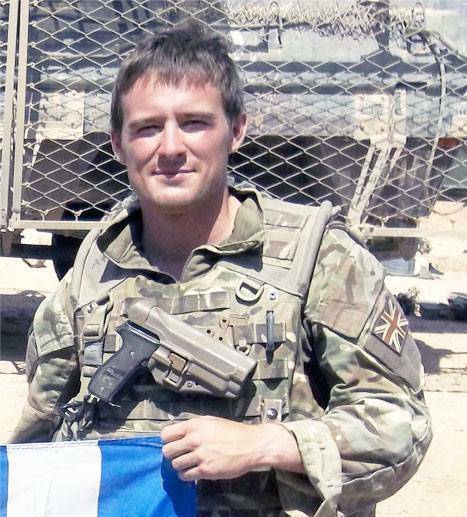 We have therefore made a donation to the charities Help for Heroes and Hounds for Heroes in memory of Lance Corporal James Brynin who was tragically killed in action in Afghanistan in October. To find out more about these charities please visit their websites using the links above.